Our clients wanted to be able to entertain family and friends in a sheltered area by the pool. 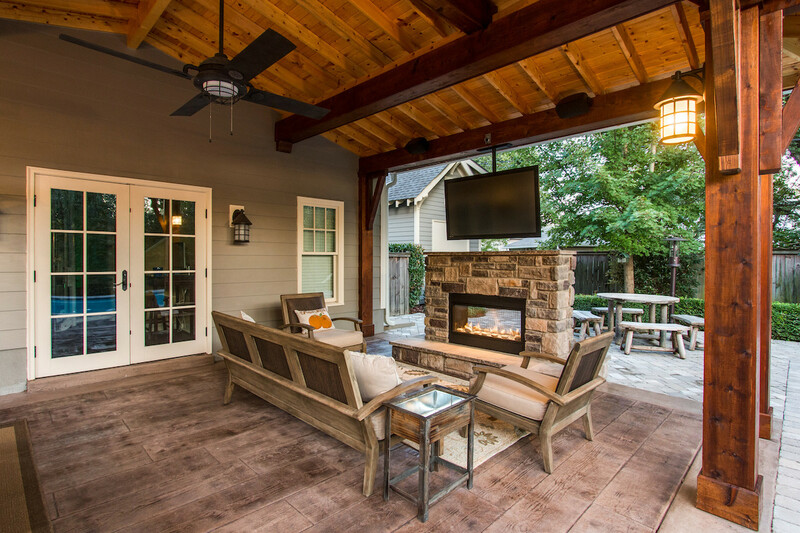 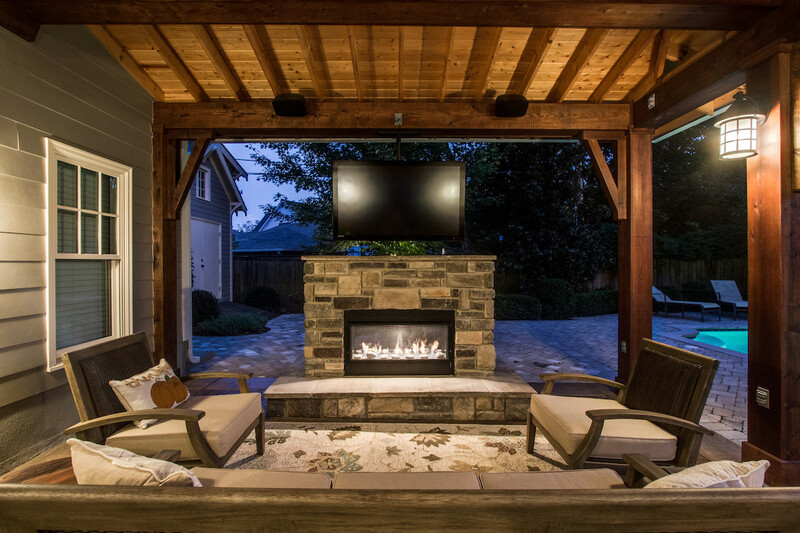 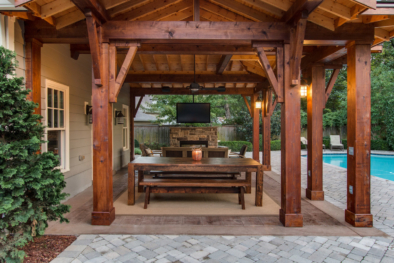 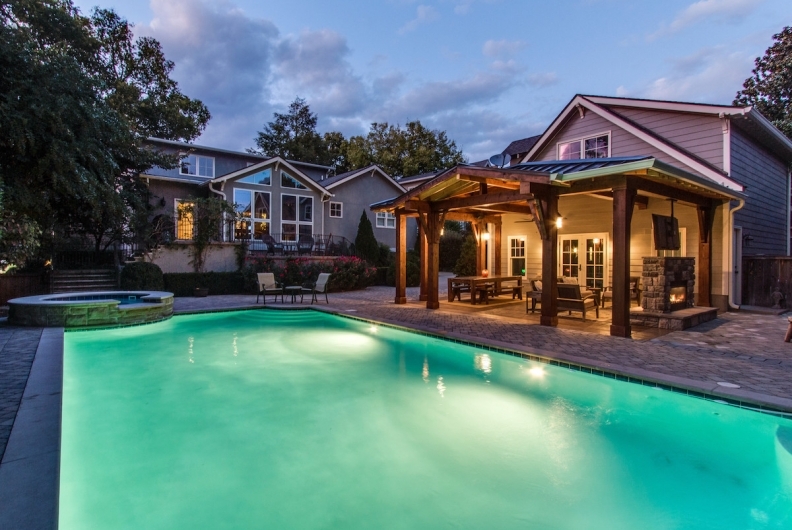 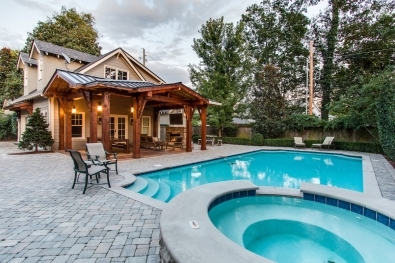 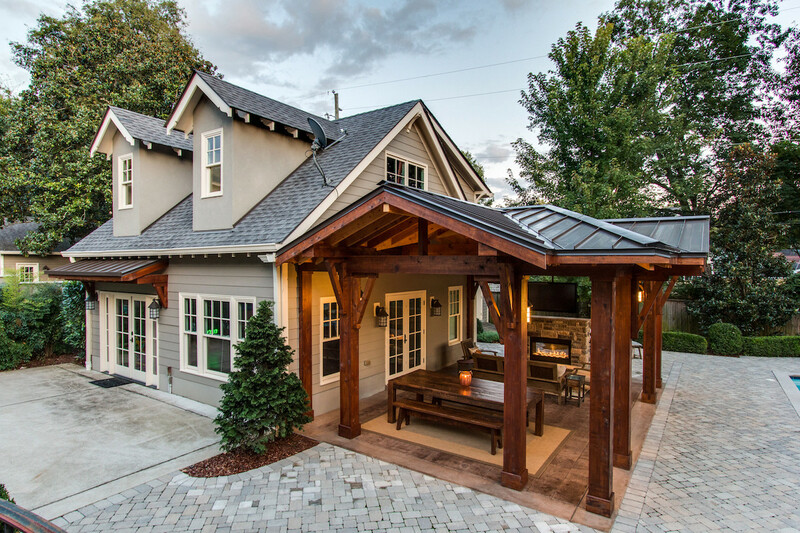 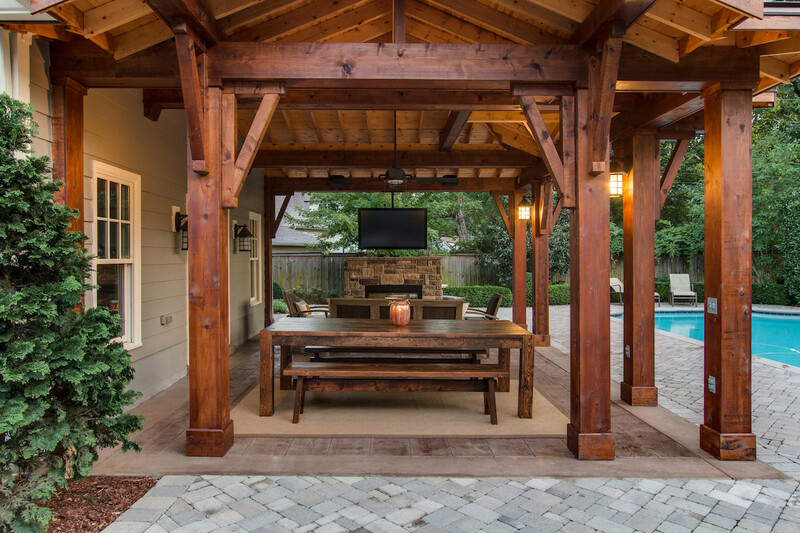 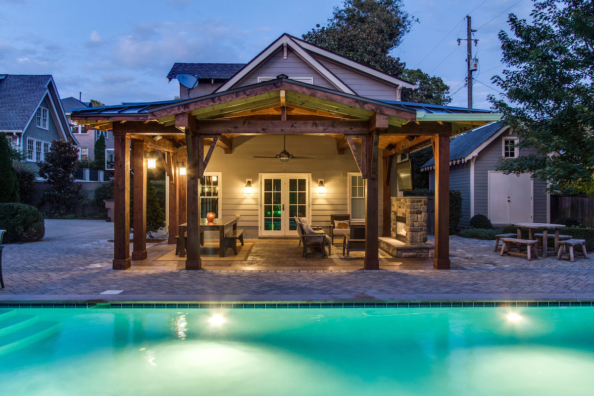 We were able to add a custom designed outdoor living space under roof that has exposed beam work and columns, stained and stamped concrete, a two-sided fireplace with a tv above and new speakers. We integrated this space into the existing space between the pool and pool house as if that space had always been there. 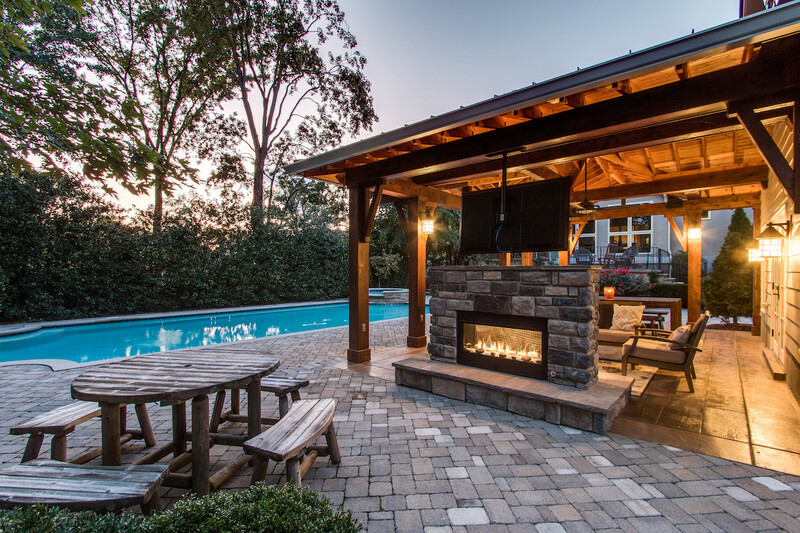 Our clients were able to recently host a gathering of 100 plus guests in their newly completed space.